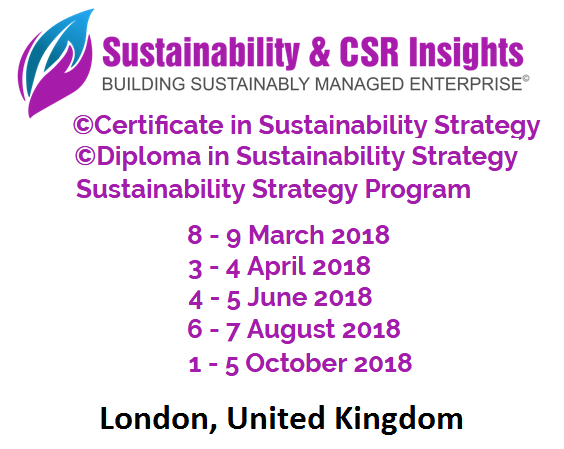 In 2018 the certificate course in Sustainability Strategy will take place at St Gobain Innovation Centre, 95 Great Portland St, London, UK on June 4 - 5, August 6 - 7, October 1 - 5, and December 3 - 4. The Diploma in Sustainability Strategy will take place on August 6 - 7. 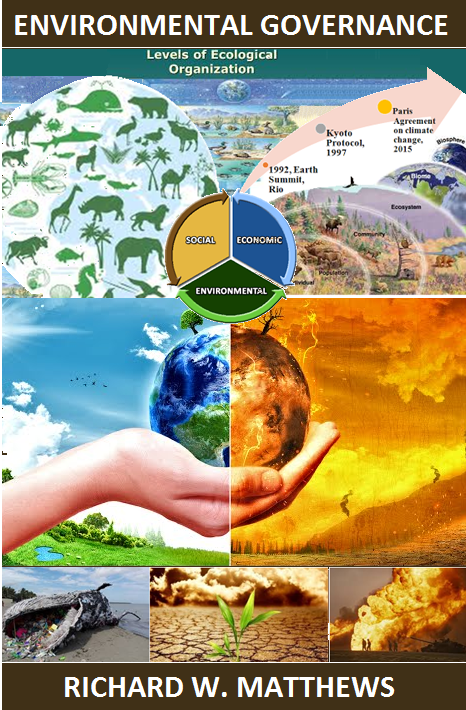 These courses of study are provided by ©Sustainability & CSR Insights, a business strategy think-tank and an Accredited Continuing Professional Development (CPD) company providing courses approved by the Institute of Environmental Management and Assessment (IEMA) for the ©Certificate in Sustainability Strategy, ©Diploma in Sustainability Strategy and dual certification The W. Edwards Deming Institute® Sustainability Strategy Program. Their Sustainable Strategic Growth Model™ is a management resource that will transform your business into a ©Sustainably Managed Enterprise and has been adopted by managers and business leaders at major international organisations such as Tarmac, Ferrovial Agroman, Asanko Gold and the Scottish Agricultural Organisation Society. They help Managers and Entrepreneurs in both fast growth companies and small businesses overcome the challenge of embedding Sustainability and Corporate Social Responsibility (CSR) into their business strategy. ©Sustainability & CSR Insights set the standard for content and delivery of environmental, CSR and sustainability training through robust quality assurance processes and provide professional development support aligned with IEMA Skills Map. The ©Certificate in Sustainability Strategy has been accredited by the Institute of Environmental Management & Assessment (IEMA). 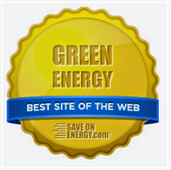 "It has made me think about sustainability in a different way in order to facilitate the various elements. I really enjoyed the process and feel far better equipped now to understand and hopefully manage sustainability more efficiently and effectively in the future." "Your knowledge and insight proved to be vital in ensuring that our delegates had a constructive and inspiring day." "Thank you also for a great course – I’ve already found it to be exceedingly helpful, and it’s already advanced a lot of my implementation plans." The © Certificate in Sustainability Strategy has been accredited by the Institute of Environmental Management and Assessment (IEMA) the professional body for over 15,000 environment and sustainability professionals from around the globe. IEMA sets the accreditation criteria for the content and delivery of environment and sustainability training through robust quality assurance processes and provides professional development support in line with the IEMA Environmental Skills Map. Option 2: Complete the 2 x day activity based in-company workshop or Public training course as part of The W. Edwards Deming Institute® Sustainability Strategy Program and gain dual certification from both The W. Edwards Deming Institute® and Institute of Environmental Management and Assessment. Option 3: Complete the core modules + exam within 30 days via e-learning and achieve a continuing professional development (CPD) certification. Learn to develop effective plans using the interactive online Sustainable Strategic Growth Model™ Analysis Tool and resource material provided in the course textbook Sustainability Footprints in SMEs: Strategy and Case Studies for Entrepreneurs and Small Business published by John Wiley & Sons. 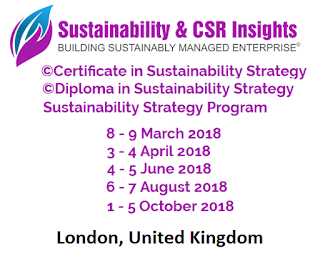 ©Diploma in Sustainability Strategy is an exciting new course that explores quality and lean management tools that support a balanced approach to developing operations strategy for sustainability and corporate social responsibility (CSR). During the 2 x day(s) workshop, you will review best practice case studies that illustrate the use of the Sustainable Strategic Growth Model™, Sustainability Management Framework and Sustainability Performance Framework to align strategy and policies with compliance obligations, United Nations Sustainable Development Goals, and Millennium Development Goals. Gain world-class sustainability training in 3 easy steps! 2. Purchase: Register for the ©Diploma in Sustainability Strategy and pay with credit, debit, PayPal or bank transfer. 3. Complete A 30 minute online assessment. Since 1993, The W. Edwards Deming Institute® , has both designed and hosted conferences, seminars, and workshops to present Dr. Deming’s “Management Method” to audiences across the US and internationally as well. Building upon this legacy, The Deming Institute is proud to announce a new 8-hour immersion program, targeted at leaders at all levels of organizations, with a focus on revisiting the foundations of teamwork, the connecting power and potential of all organizations. A reliance on working together is fundamental to both solving problems and preventing problems, and the ability to “do more with less,” in all organizations, whether public or private, for-profit or non-profit. Presented through an exciting partnership with ©Sustainability & CSR Insights and The W. Edwards Deming Institute®, this workshop reveals blind spots to teamwork that form the foundation of “Organizations as Usual” and presents fundamental concepts and strategies from the Deming Management Method for shifting these organizations in the direction of “Unusual,” embedding sustainability/CSR with the vibrant attributes and results formed from a collaborative environment. Between his “discovery” by US industry in 1980 and his death in 1993, Dr. Deming became more and more aware of the limitations of “Organization as Usual,” ever consumed and frustrated by “commonly accepted levels of delays, mistakes, defective materials and defective workmanship.” As expressed in his articles and seminars, Dr. Deming saw these results as symptoms of how individuals and organizations think and act. 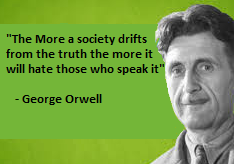 Specifically, how they act when managing their resources, including time, money, knowledge, equipment, and people. Using a highly interactive format, The W. Edwards Deming Institute® Sustainability Strategy Program provides a stark contrast between “Organizations as Usual” and “Organizations as Unusual,” including a proposal for how to shift organizational resources from an emphasis on solving problems to an emphasis on preventing problems, as well as discovering hidden opportunities for gainful investment that incorporates Sustainable Development Goals (SDGs). Such a dramatic change requires awareness of how organizations both understand and manage systems, variation, people (psychology), and knowledge, the four interdependent elements of Dr. Deming’s System of Profound Knowledge®, the cornerstone of his distinctive management method. The Certificate in Sustainability Strategy will provide the knowledge and skills necessary to assist managers with designing strategies that will mitigate the effects of sustainability risks and enhance organisational potential to exploit opportunities. In addition to learning material and insight into the use of tools such as the Sustainable Strategic Growth Model™ delegates will receive copies of both Dr Deming's book The New Economics and Dr James's book Sustainability Footprints in SMEs: Strategy and Case Studies for Entrepreneurs and Small Business as resource to support the effective implementation of sustainability strategy. Upon successful completion of the two-day(s) workshop, delegates gain dual certification from both The W. Edwards Deming Institute® and the Institute of Environmental Management and Assessment (IEMA) the world's leading environmental management professional body. The W. Edwards Deming Institute® Sustainability Strategy Program would benefit senior management, company directors, Quality Managers, Safety Managers, Environmental Managers, CSR/Sustainability Managers, Marketing and early career professionals who are involved in Sustainability/CSR implementation and reporting.